Pixy is a flagship brand under Mandom Corporation, a Japanese company that manufactures cosmetics. Mandom Malaysia was initiated in 1997, and became a consolidated subsidiary of Mandom Corporation. I was under the impression that the brand was actually Malaysian because it is very affordable, almost bordering on cheap. 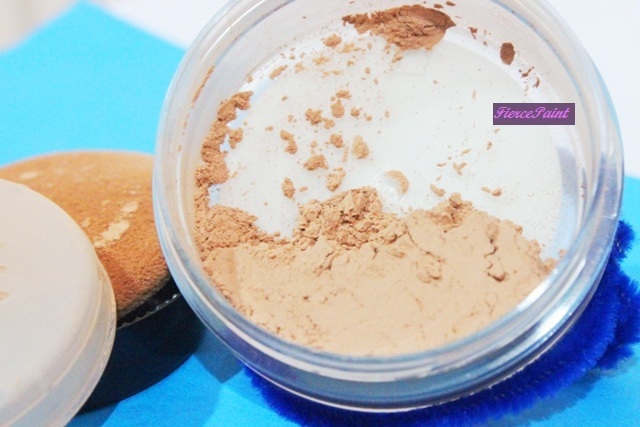 This is my review on the Two Way Cake Perfect Fit powder review. I actually just buy the refills which are much cheaper than buying the compact because the only thing missing is the sponge and a mirror and I have my own! The compact costs twice more by the way. The product and the outer box. Description on the back of the box. Ingredients list on the side. Shade name. This is the lighter of the two I own. The other shade is Tropical beige. The two colours I own. 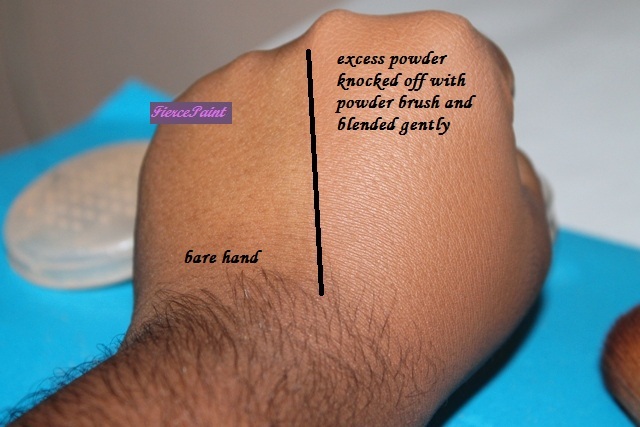 Description: A two way powder that comes in 12.2 grams (about 0.43 oz) and in 5 shades. It comes in a compact form and refills (as you see above). 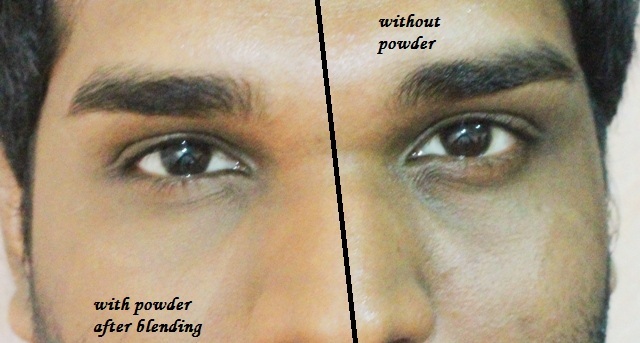 The two way powder means that it can be used wet or dry; either with a dry powder puff or sponge or a wet medium like a dampened beauty blender or cosmetic sponge. This is perhaps the cheapest powder I can find at the drugstore that has this deep shade. That darker shade is my almost my colour! Good coverage considering it is a pressed powder. Coverage can be pumped up by using it with a wet sponge. Helps with oil control even considering it is enriched with squalene oil. Lasts well throughout the day without breaking apart even with a bit of sweating. A tiny bit unforgiving with deep set lines because it tends to crease over time. Can’t be used in excess because it can crack if over applied. People with oilier skin would not be able to use this because, although it does control oil, excess facial oil does break it apart. Emphasises texture a tiny bit. I only ever use this with stage performances since it does appear a tiny bit lighter on my skin when used without a foundation. Which is why I don’t have a wear test picture to show you. I need to mention here that I used this quite often with stage performances and it held up well through it. Do give it a go! The refill can go as low as below MYR 9! This isn’t my first Maybelline review. All my other reviews are linked below so you can read up on the brand (which if you don’t already know of, what are you doing on a makeup blog?). I waited this long to review it because, like the glorious cheapskate I am, I had to wait for the price to dip at least 50% off before I purchased. And I did! One at 50% and the other at 60% off!!! I LOVE IT!!! The two shades I own. 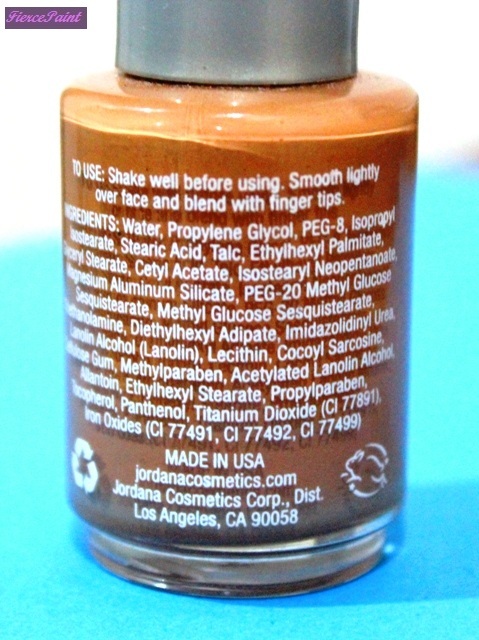 Description on the back of the bottle. Funny enough, one is made in U.S.A and the other made in China. Even the description is laid out differently. One peels off to reveal only ingredients (made in China), and the other peels off to reveal some descriptions (made in USA). Ingredient list. They are identical. So I reached out to Loreal Malaysia about the discrepancy in sourcing the products. Why is the same product Made in China and Made in USA, and here’s their response. Here are some hand swatches. Hand swatch. The left is 338 (spicy brown) and the right is 332 (golden caramel). I typically mix the two shades. 338 has too much red in it and 332 is a shade lighter than mine. Mixing the two makes a perfect match. Description: Liquid foundation that comes in 30ml or 1 fl. oz. Although the original line from Maybelline carries up to 380 Espresso, the darkest available shade in Malaysia is ONLY up to 338 Spicy Brown (unless you purchase online or Instagram shops). Just to bring to light, there’s 340, 355, 356, 358, 360, 362, 365, 368, 370, 375, AND 380! That’s almost half the shades NOT available here in Malaysia! Perhaps there just aren’t enough melanin skinned people here in Malaysia to bring those shades in. Medium to full coverage, matte finish. Where to buy: Anywhere there’s a Maybelline display, Watsons, Guardian, Caring, Aeon etc. After about six hours of wear. You can see facial oils coming through but that happens with most foundations. True to claim, medium to full coverage. Buildable. 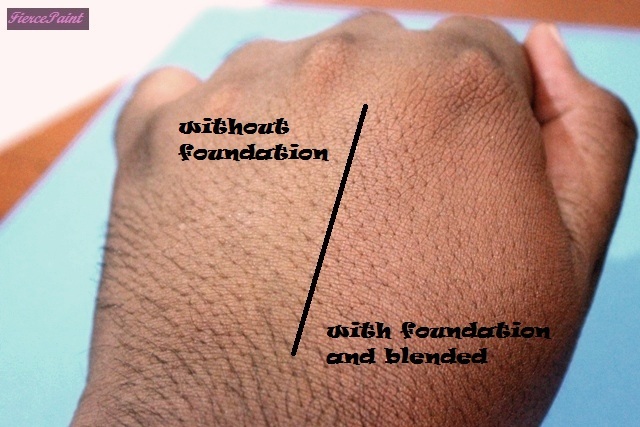 Even with the dismal shade range available here in Malaysia, this is perhaps the only line of foundation that runs this deep (yes, if you’re dark skinned in Malaysia, there are NO drugstore options). For something so matte, it surprisingly looks pretty natural if not layered up too much. Doesn’t just melt off with sweating. Only after about 4 hours of wear, facial oils peek through which in my case is great. 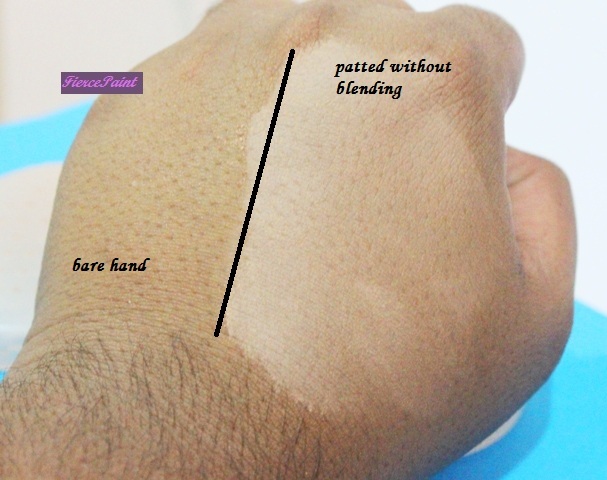 If you have dry skin, this is NOT the foundation for you because it tend to grab a tiny bit on to dry patches. Doesn’t really reduce appearance of pores (not on me at least). Note: Although claims to keep the face matte, it doesn’t really do that for too long. But at the same time getting oily, if you’re someone with combination skin, is inevitable, so it’s not really an issue. This foundation touches up perfectly well. Just going over the face with a blotting paper and touching up with powder revives it back to almost new. If you have oily to really oily skin, the foundation tends to break apart as the oils come through but not in patches, so touching up just revives it! I love this foundation BUT I don’t think I’d repurchase because if I did, I repurchase my beloved Sephora foundation which is actually Tati approved (link here). I do want to try out other foundations. I have not used many foundations to proclaim that this one in particular beats out the rest. I detail my experience using this product in hopes that it will help another make an informed decision. The Sephora brand itself has a wide range of products but never really talked about or raved about. This comes as a surprise to me because their price range is lower than most brands available and their products are very inclusive of a wide range of skin tones. Here I review the Sephora 10HR Wear Perfection Foundation. The product. I love the frosted glass bottle! Description at the side of the bottle. Clear sticker at bottom of the bottle with shade name and code. A pump! YES! Much appreciated! The pump actually dispenses product very nicely. No wastage! Blended. It has a very skin-like finish. It’s not matte nor is it too dewy. The yellow undertone works very well on my face. Description: Liquid foundation that comes in 25 ml or 0.84 fl. oz. Very darker skin friendly range of shades (if you are Indian, you are sure to find a shade for you in this range!). Medium to full coverage with a skin-like dewy finish. Where to buy: Sephora stores nationwide and Sephora website online (https://www.sephora.my/). You can see it being used on my face in this video. Although it seems like a lighter shade, it sinks and blends well into my skin and I typically use a bronzer so that ties in with the whole thing as well. Medium coverage foundation that can be built to full coverage. Setting with powder removes dewy finish. Doesn’t cake up even when layered. Long lasting (10 hours is a bit of a stretch but depending on your skin type, a good 6 to 7 hours of wear and it doesn’t just break down leaving patches, rather it fades off pretty evenly). Wide and very darker skin friendly range! Not too expensive for a product from Sephora. Not even a full ounce of product. May not work for oily skin because of its dewy finish. Tends to make the skin oil up because of the dewy finish. 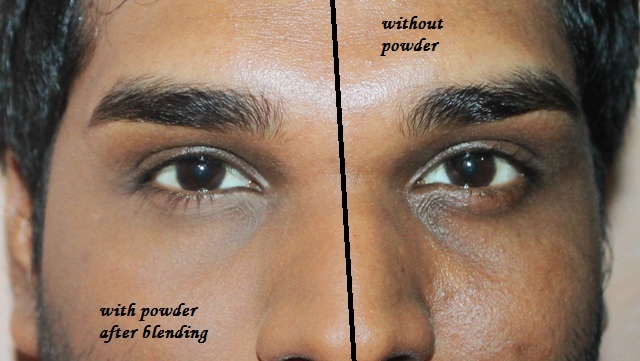 Setting with powder helps. I have only ever used one other liquid foundation (for every day use) that I have reviewed here (link here). But this one, I LOVE! Highly rated on the Sephora website. Another MAC product review? What? The back of the box. Ingredients list. Shade name on the top of the box. The label on the other one has peeled off. 😦 But this is how it looks like. Can’t really tell the difference but the one on the right is NW43, the one on the left is NC42. The section underneath for the puff. Excuse the dirty puffs. I usually use brushes or the beauty blender so I don’t bother washing them unless I know I am going to be using it. The puffs are soft and pretty good to use. An insignificant hand swatch. The colours did not pick up on camera! But you can tell a tiny bit colour which is the NW 43. 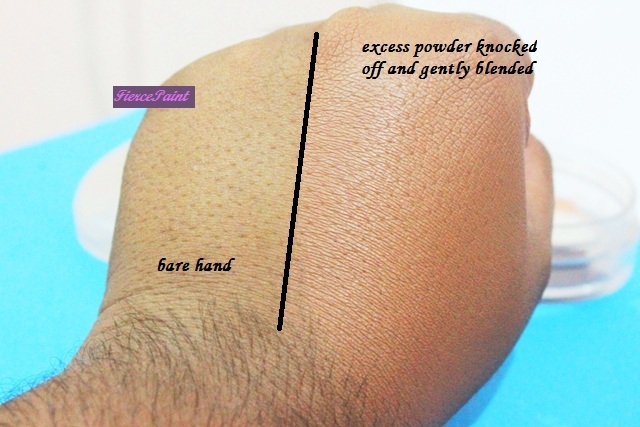 Description: A powder foundation that comes in many shades, in two different undertones, and in 15 grams / 0.52 oz product. This product is my go to and in fact I recently used it for a brow challenge for RiceDolls. Rice Dolls is a makeup community site for beauty creators around Asia; you can find them at RiceDolls.com. I used this powder to cover my under eyes. Smooth and easy to blend. Lasts very well on the skin. Pretty good at oil controlling. Doesn’t settle into lines if applied in controlled amounts. The soft sponge is pretty amazing. Lasts all day long even without a setting spray. It can get cakey if layered too much. It can settle into lines if layered too much as well. You will definitely feel it on the skin. Not particularly comfortable to wear. If you do have oily skin, the product does break down a tiny bit but nothing a quick touch up can’t fix. Make sure you blot of excess oil off the face before reapplication. I love this powder foundation but I haven’t used too many different powders from different brands to tell you that this is my holy grail. I’m used to it and this review is all the details I’ve known and experienced. Elianto is a local brand that sources its products from various countries such as Switzerland, Germany, Italy and Korea. Founded in 2005 by husband and wife duo Teo Ai Siong and Sylvia Lim See Toh they are now one of the more popular brands in Malaysia in terms of drugstore price range makeup and skin care products. Elianto is owned by the Aivoria Group of Companies (the same group that owns Bonita and Tiamo). 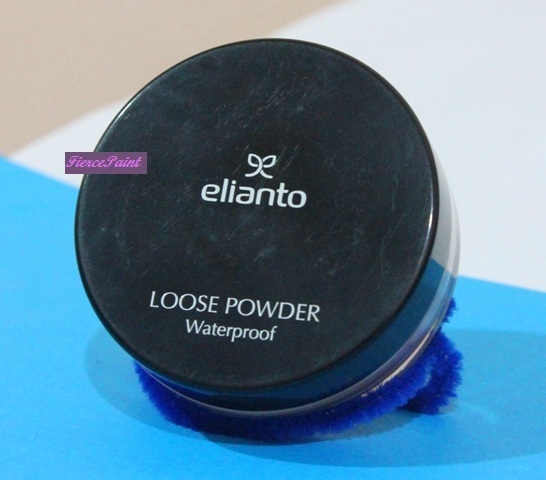 Today I will be reviewing the Elianto Waterproof Loose Powder in 05 (Warm Beige). Let’s get to some pictures first shall we? Labels on the bottom of the tub (the shade code is written too). Inside the tub; the powder puff. The powder inside. It has obviously been used sufficiently enough. 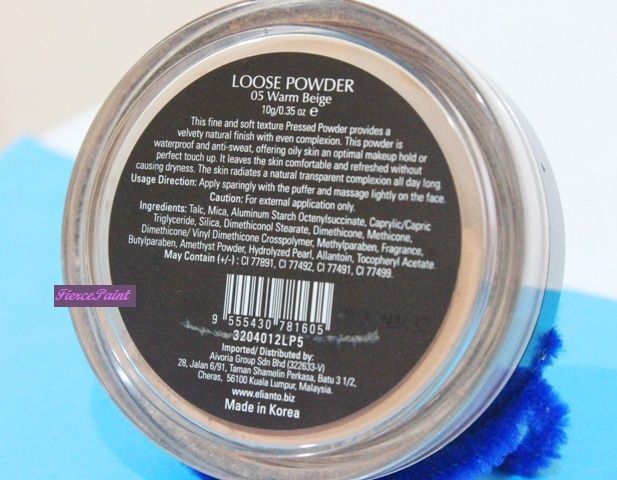 It is a loose powder that is pretty sheer which can be used on its own or as a setting powder. The shade I have is in 05, Warm Beige, the darkest shade they have. I have pretty deep and dark tanned skin so it works quite well on me. It claims to be waterproof and is completely matte. Price: MYR 39.90 but Elianto is always having promotions so the prices can be cut to as much as 70% off. I also did some hand swatches and took pictures with and without flash. 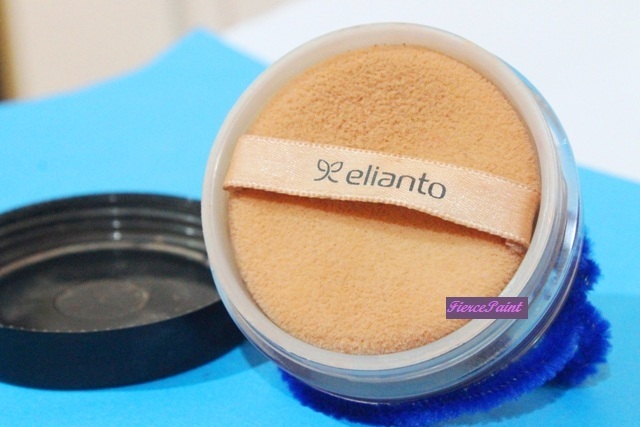 After blending with the Elianto face powder brush. 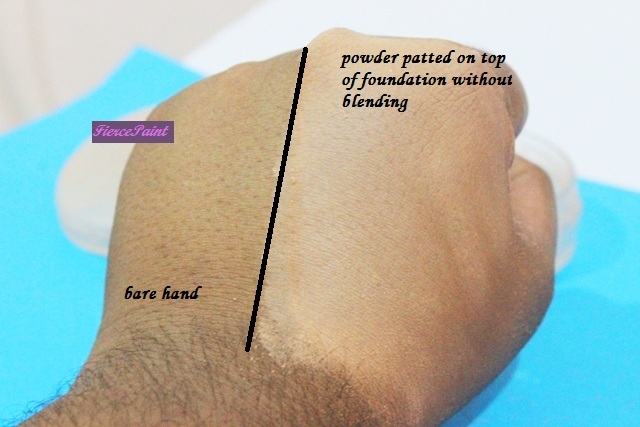 Powder is used to set foundation here which was a mixture of Jordana Oil Free Foundation (in Caramel Bronze) and Maybelline Dream Matte Mousse (in Natural Beige Medium 2.5; the darkest shade available in Malaysia). The colour looks pretty warm but it matches my facial skin better and it does not look as different in person as it does in the picture. With only the powder. As you can see it does look ashy without foundation under flash photography. With foundation. Although a difference can be seen it would look pretty close to my face tone. And no ashy finish here when used with foundation. I also used some on my face. It does give some coverage but it is pretty sheer. My skin is not this bad! Trust me! DAMN DSLR!!!! As you can see it does look ashy with flash photography. I love powders with a matte finish so that’s going to be a plus point for me. Pretty well pigmented for a loose powder. It is not very translucent and thus has a little bit of coverage which is pretty good for a loose powder. It is pretty finely milled so it doesn’t go on streaky or patchy nor does it become cakey even when layered. It has sheer coverage which is great for setting foundation without altering the foundation shade. Price is another plus point. It doesn’t have good lasting power, it can probably last for only about 2 hours before it wears off (if worn on its own). Although waterproof it can transfer or move if you sweat profusely (even with foundation underneath), this also means tears (from crying) would melt it off. It isn’t transfer proof so if your face rubs off on someone’s (or even your own) light coloured clothing, well, DISASTER! I am undecided with this product only because I have yet to find a holy grail drugstore loose powder just yet. 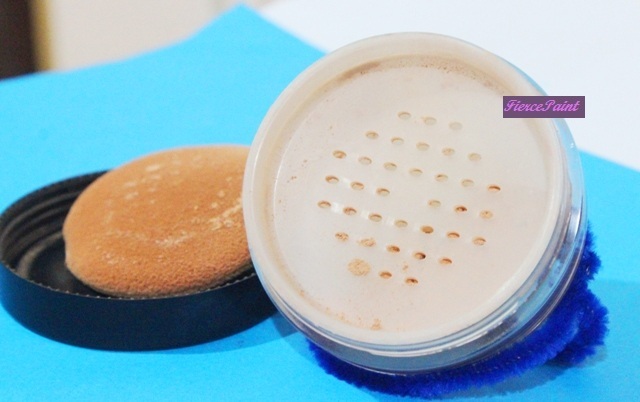 I actually prefer pressed powders over loose powders just because they can be both, used alone, and with foundation. So you’d have to decide on your own. But there is definitely a colour selection for people with a similar skin tone to mine. Jordana Cosmetics is a family-owned American based makeup company that produces really affordable makeup items. They have everything except makeup brushes and tools (eyelash curlers, false eyelashes). They were being sold in some Guardian counters but I am not sure if Guardian still carries their products. The YouTube community loves Jordana and some of their products are holy grail items. 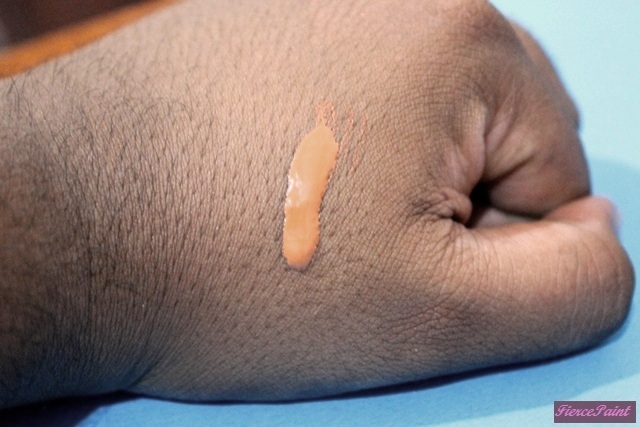 This is a review of the Jordana Oil-Free Liquid Foundation. 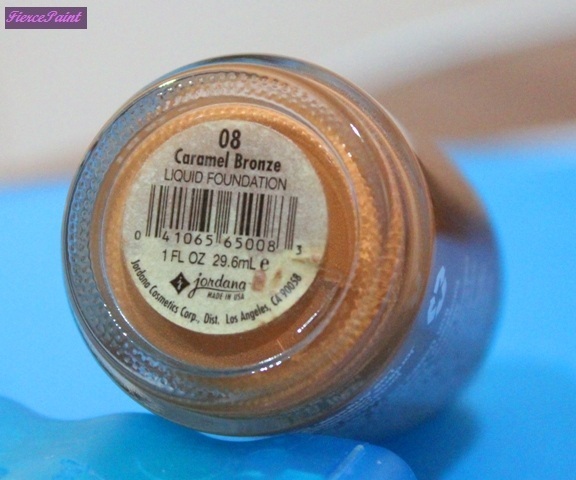 My shade is in Caramel Bronze (08) and it is a warm deep shade. Highly suitable for deep tanned Indian skin tones. It is a glass bottle with a screw cap. No pump available so it needs to be poured out onto something before use. On the bottom of the glass there is the shade of the foundation and the amount of product. Poured out onto the back of my hand. The formula is pretty runny as you can see it is already flowing downwards before I could even take this picture. It blends out well but is very warm toned. Although it is not so apparent in the picture, it has a tinge of orange. Description: Liquid foundation. Medium to full coverage. Dewy finish. Not a wide range of shades are available for this particular foundation. Price: MYR 23 online (Colours Cosmetics website, excluding tax) and IF it is still available in Guardian it would cost anywhere between MYR 25 to 30 (I can’t confirm if Guardian still carries the product). Where to buy: refer to “Price”. I mention Malaysian based websites and stores only. Additional info: It does not come with a pump and since the product is very runny, it should be poured out slowly to avoid wastage. After loose application it can be sheered out or pat down with the finger (depending on how much coverage you want). It actually works better with fingers. If the shade matches your skin tone it would look almost invisible on your skin. 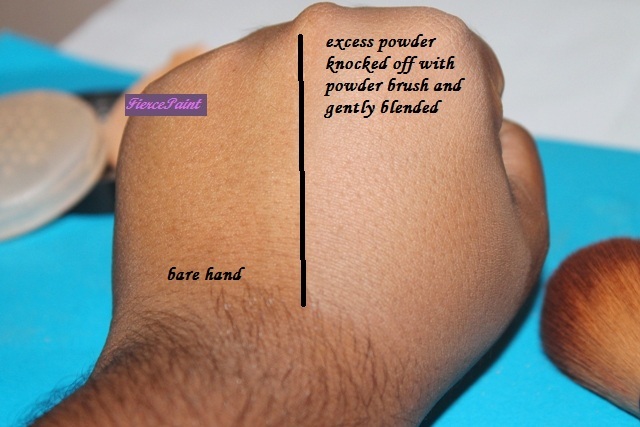 Powder adheres to it really well so it is ideal to be used with a translucent setting powder or even a pressed powder. This means powder blushers and highlighters work really well with it as well. 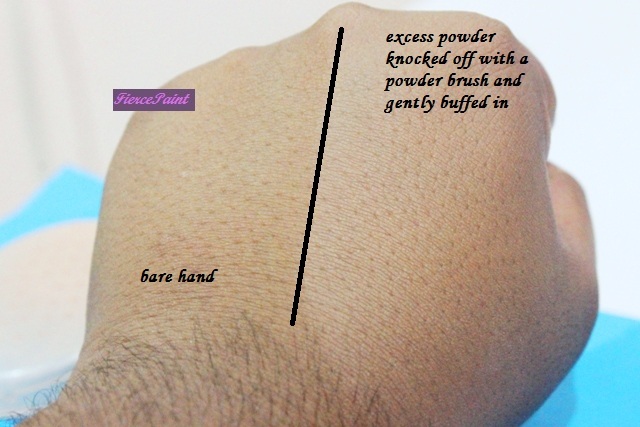 Decent lasting power; if set properly with a setting powder, it can last up to 6 hours on normal skin. If makeup setting spray is used then it could probably last even longer. It oxidises slightly warmer in the first 20 minutes after application (might be just this particular shade). Would not suit oily skin because it tends to move around on my oily T-zone in unfavourable (hot and humid) conditions. The foundation dries a little tacky and that may seem a little uncomfortable. Since it has a dewy finish, a setting powder seems almost necessary or it would seem oily unless really sheered out. Cons and pros are about the same but I can work it out. It wins me over from a price point of view. It is another on-the-fence product. And since foundation is very specific and personal in terms of daily usage and suitability to a person’s skin, it is really up to you to decide.